The spring cleaning season is among us and there’s no better time to deep clean your bedroom and bathroom than now. The bedroom is a place where you’re supposed to be able to relax, but a messy and cluttered room can make that hard to do. And nobody wants to use a dirty, sticky bathroom, right? Here are some spring cleaning tips to get your bed and bath back into tip top shape and ready to take on the coming summer months. One important spring cleaning tip for when you’re ready to tackle your bedroom is to break up tasks by how fast they are to get done. Some cleaning tasks may take longer than others to do and may change the order you do them in. You may want to do easier tasks first or wait until the harder tasks are out of the way. However you choose to handle your cleaning is completely up to you. If you have little time to spare but still want to clean your bedroom up a bit, these are the spring cleaning tips for you. One of the easiest and quickest things you can do is to dust your bedroom furniture. Grab your duster and dust your nightstand, bed frame, tv stand, dresser – the list can go on and on. Be sure to also dust those hard to reach places like the tops of ceiling fans and the top and bottom corners of your room. Though dusting is such a simple thing to do, it makes a big difference in the overall look of your bedroom. The difference is even more noticeable if your furniture is dark in color. 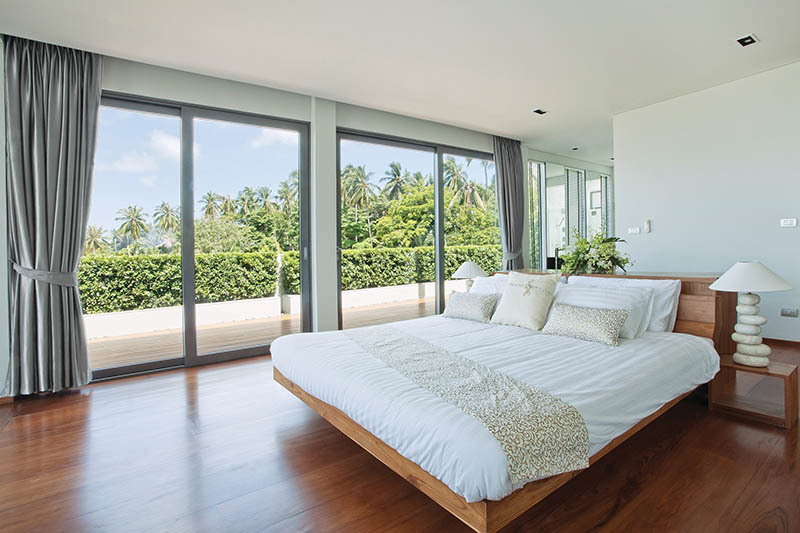 What does opening windows have to do with spring cleaning your bedroom? A lot, actually. During this time of year the weather can be unpredictable, but cleaning your bedroom on a nice day can provide you with many benefits. 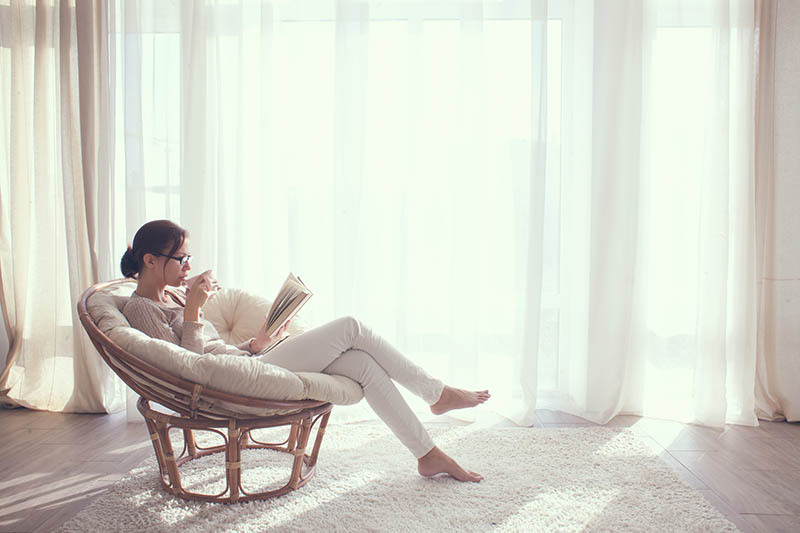 Opening your windows will let fresh and clean air into your room while circulating the old, stuffy air out. This is an easy way to make your bedroom instantly brighter and it only takes a couple of seconds to do. When you think of getting rid of clutter, you may not think of it being a quick task. Yes, it’s true that completely decluttering your bedroom can take quite a while. However, quickly rummaging through and throwing away old junk from nightstand drawers is pretty simple to do and fast to complete. Most of the time, little things get thrown in nightstands and forgotten about so it’s important to clear them out every once in a while. You never know what you can find! Once you’re ready to commit some time to cleaning your bedroom, here are some spring cleaning tips and tasks you can follow to achieve a cleaner and fresher space. In order to have a clean bedroom, you have to have a clean mattress. All you have to do is sprinkle a generous amount of baking soda on your mattress and let it sit for at least 15 minutes. The longer it sits, the better it’ll work. Once the baking soda has sat for a while, go ahead and vacuum it up. After you have thoroughly vacuumed your mattress, flip it over to the other side and repeat the process. Make sure to vacuum all sides of the mattress and especially in the crevices between the mattress and the bed frame. You should have a great smelling mattress once it’s all said and done. Nobody likes to go through and organize all of their clothes, but it’s something that should be done at least once a year. Putting it off will only make the job harder to do when it comes time to do it. The first thing that needs to be done is to remove everything from your dresser and closet. Take out all of the clothes and neatly fold them, separating what you wear and what you don’t. Rule of thumb is that if you haven’t worn it in a year, it should go. After you’ve folded and separated your clothes, wipe down the inside of your dresser drawers and closet shelves. You can do this with a plain microfiber cloth. 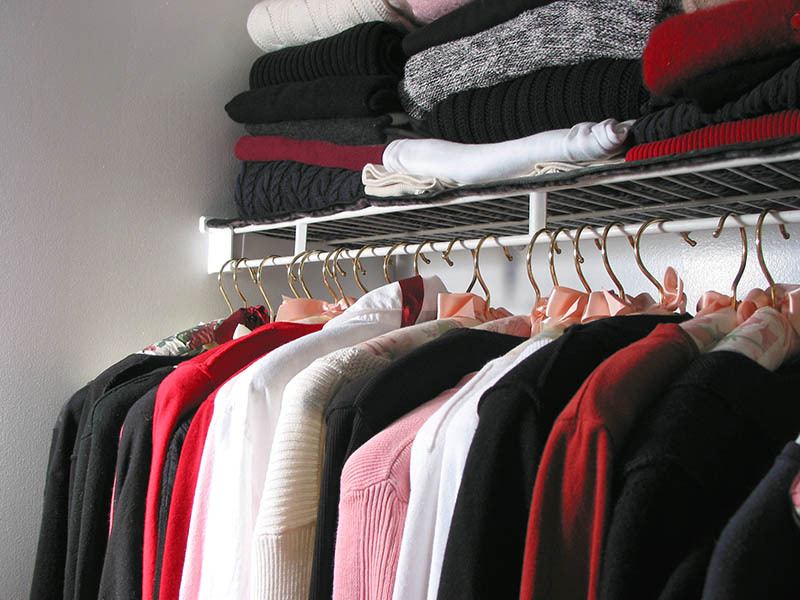 Once this is done, return the clothes you plan on keeping to your drawers and closet. Bag what you don’t plan on wearing anymore and donate it to your local GoodWill or homeless shelter. The key to a clean room are clean windows. When the weather is beautiful, you’ll want to be able to see the outside world from your windows. When it comes to your window glass, the simplest way to clean it is to use a microfiber cloth. Dampen the cloth lightly and wipe the glass. If that isn’t sufficient enough to clean your windows, follow these step-by-step instructions for a more in depth clean. Don’t forget about your window sills. Wrap a flathead screwdriver with a cloth and use the tip to scrape away any build up in the track of the window sill. Once you’ve done this, take your lightly dampened cloth and wipe away any leftover dirt. There’s no denying that a bathroom can get gross quickly. The best way to keep a bathroom tidy is to clean it regularly. 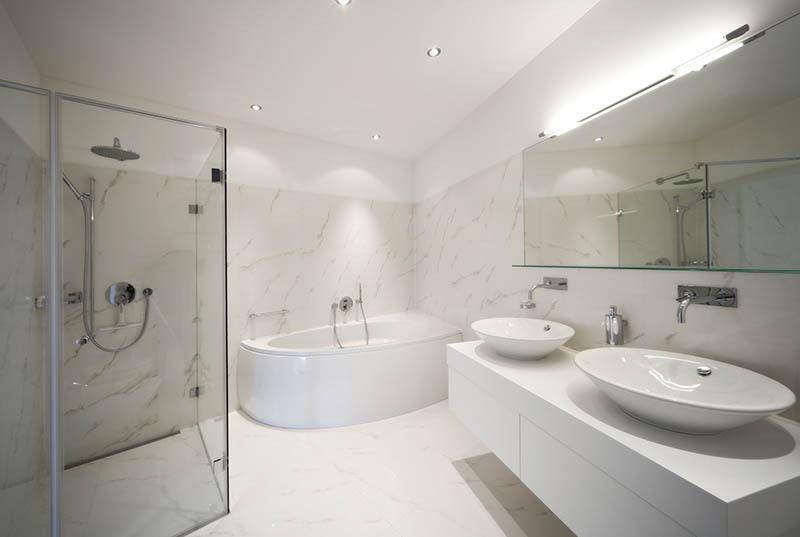 If it’s been a while since you’ve cleaned it, don’t worry, your bathroom is not too far gone. You can still restore it to all of its original, sparkling glory. Here are some spring cleaning tips when it comes to tackling your dirty bathroom. 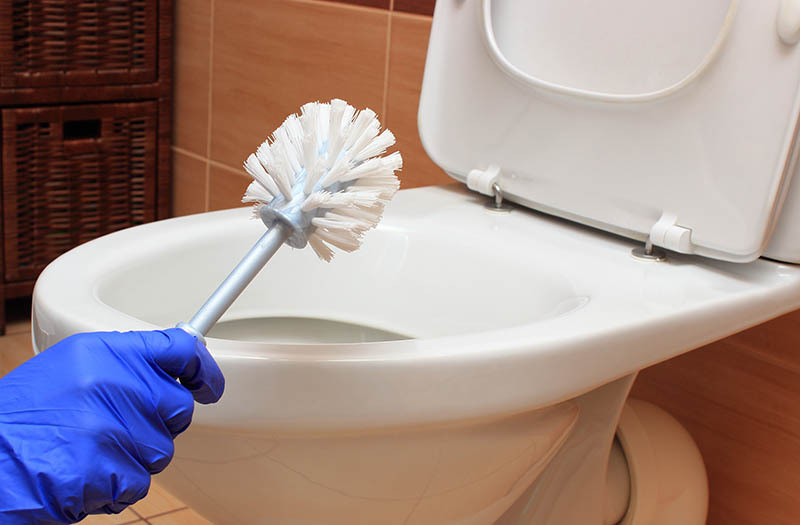 Toilets are the worst to clean but it’s absolutely vital to do so if you want a clean bathroom. Getting your toilet in pristine condition is actually pretty easy. All you need is an all-purpose cleaner, a toilet bowl cleaner with an angled spout, a toilet bowl brush, a cloth and paper towels. Follow these steps to thoroughly clean your porcelain throne. The first step is to completely cover your toilet in the all-purpose cleaner. Spray it all over the tank, both sides of the lid, rim, base, etc. Make sure the entire thing is covered. Let this sit a little bit so the cleaner can start to break down the dirt. As this sits, pour the toilet cleaner into the bowl. Guide the spout along the inside rim of your toilet and gently squeeze as you go around to evenly spread out the product. The angled spout makes this step easier as it fits perfectly along the rim. You should let this sit in your bowl for a minute, as well. Take your cloth and wipe the outside of your toilet bowl clean. Retrace your steps and wipe the tank, the lid (both sides), the seat, etc. Make sure you get those little crevices and everything is wiped clean. Follow up with a paper towel to get any remaining moisture. After you’ve made the outside of the bowl sparkling clean, turn your attention to the inside. Take your toilet bowl brush and apply a light pressure as you scrub the inner bowl. Continue working your brush from top to bottom, in a circular motion until you reach the water. Keep your toilet brush in the water as you give your toilet a flush. The water will clean the brush off and any residue that left over on the inside of your toilet bowl. Also make sure the brush is completely dry before returning it to the brush holder. You don’t want any mold or mildew growing in there from the moisture. How can a sink possibly get dirty? With all that soap and water constantly flowing through it, you may think it would always be clean. Unfortunately, that’s not the case. Sinks get all sorts of build up over time – rust, food and even soap stains can accumulate. If you want to your sink to sparkle again, follow these easy spring cleaning tips. Regardless if you’re in the kitchen or the bathroom, the sink is a breeding ground for bacteria. Bacteria thrives in warm and moist areas and the drain is the perfect candidate. To take care of this potential build up, pour white vinegar or baking soda down your drain and follow up with hot water. This should be sufficient enough to get rid of any lingering bacteria. Cleaning your sink is relatively easy. Add dish soap to a bowl of warm water and mix. Take a standard sponge and dip it into your cleaning solution. All you have to do at that point is scrub lightly. If you have tougher to remove stain, you can try using an all-purpose cleaner or a more abrasive sponge – such as a scourer. Some sinks may have developed rust over time around the faucet handles. You can get rid of rust by using a commercial cleaner or by pouring salt on a lemon and rubbing it on the stain. The acidity of the lemon and abrasiveness of salt will help dislodge and remove the rust. To get your bathtub back into pristine condition, you should follow the same spring cleaning tips as you did for your bathroom sink. Most likely the two are made from the same porcelain material, so the same cleaning methods should work well on both. 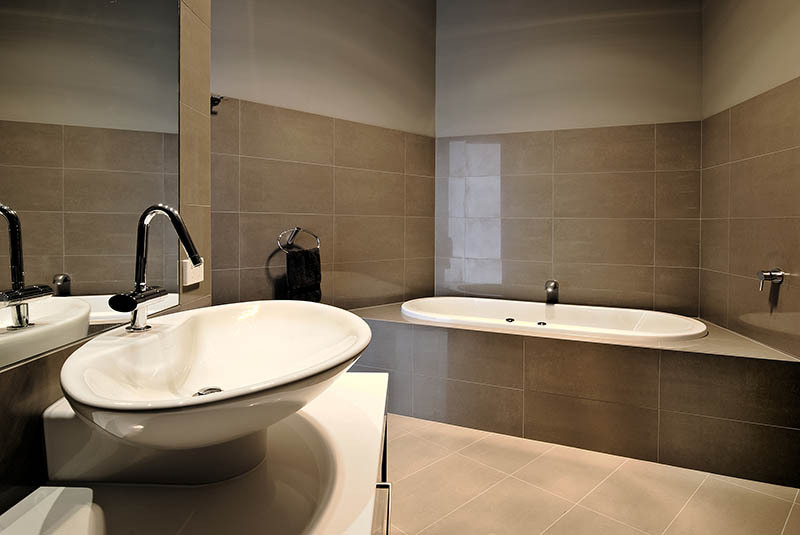 However, here are some things to keep in mind whether you’re handling your tub or your sink. Brushes or sponges that are rough might scratch the surface. To avoid this, use a light hand when using them. That should prevent any scratches from forming. Mixing ingredients such as water and soap or salt and lemon is fine, but mixing chemical cleaners together should never be done. You don’t know how the chemicals will react together. They might create toxic fumes, burn your skin or do nothing at all. It’s better to be on the safe side and avoid mixing them. If you are using any type of commercial cleaner with chemicals, make sure your bathroom is well vented. Open windows or run your exhaust fan to let any fumes that might accumulate out. Also, protect your skin by using rubber gloves. Give everything one final wipe down to completely remove any cleaner or soap that might remain. If any residue is leftover, chemicals have the ability to stain and discolor your tub or sink. That’s why it’s important to give everything a once over to avoid this. Hopefully these spring cleaning tips will make it easier for you to tackle cleaning your bedroom and bathroom. 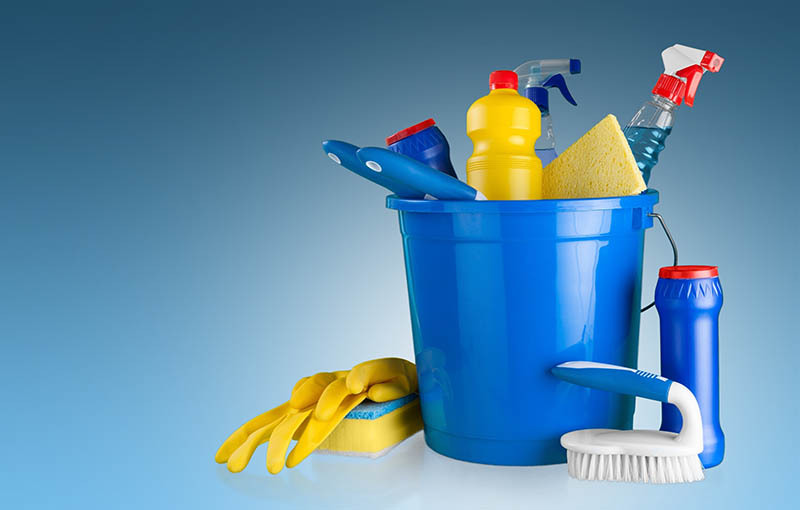 Once you have taken all of this tips and put them into play, you should be left with the cleanest rooms of your home. So all you have left to do now is sit back, relax and enjoy.